Welcome to Book Blogger Appreciation Week! 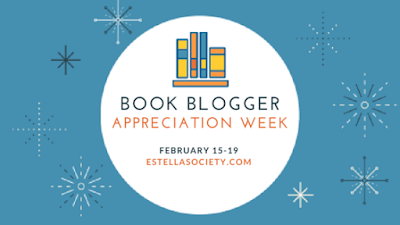 This used to be one of my favorite blogger events because of the love shown for books and bloggers. Then it started focusing too much on blogger awards and was feeling more like a popularity contest and I was kind of glad when it fizzled out. But lately, I feel like the sense of community is waning so I'm very happy that the event has been resurrected (sans awards) and I'll be enthusiastically participating! One of my favorite books as a kid was No Flying in the House by Betty Brock. I probably read this book twenty or more times. It's about Annabel who finds out that she's half fairy. This book not only kept me trying to kiss my elbow for years (that's how you can tell if you are a fairy) but it established one of my favorite kind of books -- real world with magic added in. Books like this give me hope that there is real magic hidden somewhere in this sometimes bleak world. Amusing side story: a few months ago, I met up with two lovely friends who I've met through book blogging--Natalie and Selena--and Selena brought books for Nat and me. 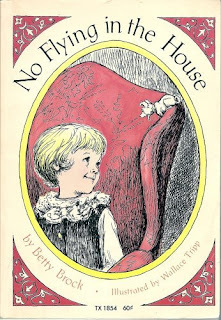 She was giving me mine and said "there's this one that was one of my favorites as a kid and it's about, well, not flying in the house ..." and I immediately freaked out and then knew that we would be friends forever. This is why books and blogging are so awesome! And then there is The Eyre Affair by Jasper Fforde. It's all about books, brains, and humor -- just like me! When I first read this book, I felt like I was home. I first read this book when I was a teen and then a few times since and it's always inspired me with amazing characters and a heartwarming story. It also established that I would never fear classics. I had already read and loved Wilkie Collins' The Woman in White when I read The Thirteenth Tale by Diane Setterfield. This book led me to Lady Audley's Secret and the realization that Victorian sensation fiction was a genre and that I loved it. From East Lynne to Armadale to The Mystery of Edwin Drood, I can't get enough of these crazy novels. Add in neo-Victorian sensation novels like The Meaning of Night and The Quincunx and I'm in heaven. I think what I love about this genre is the outrageousness -- without the sordidness of the modern equivalents. Finally, I have to credit Gone With the Wind (and my mother, who gave it to me to read in my early teens) with my love for chunksters. When one of your first adult novels is over 700 pages long, you learn to love a big, meaty read. Well, not quite Victorian but I don't mind! Based on these books, comment and give me a book recommendation! Ooh, good question, why did I not ask that? 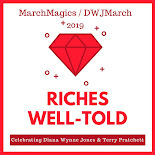 JS & MrN is pretty much my dream book in this particular vein too, I'm not sure I can top that...have you tried Joan Aiken? 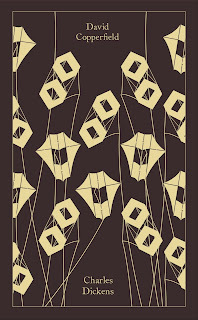 Her neo-Victorian pastiches can be a lot of fun. Midnight Is a Place is my favorite of her children's books, and If I Were You (aka Deception) is also a good one. I've only read The Wolves of Willoughby Chase and the Armitage collection so this is a great recommendation! I have been meaning to get to more Aiken. Thank you! Oooooh: Thirteen Tale, Jonathan Strange, GWTW! Fforde! I don't know the first book & and I'm only neutral about Dickens. If you like Jonathan Strange, Zen Cho's Sorcerer to the Crown might be a good fit! That's the first book of a planned trilogy, iirc. I loved the first one a LOT. I read David Copperfield as a teen too and it's still memorable. That's quite the opening line - I see why you like it. I love books set in the Victorian era, although I don't read enough of them! I actually recently picked up JS & MN on audiobook recently - looking forward to delving in to it. Thanks for stopping by! I hope you enjoy your listen to Jonathan Strange! Amazing how some of our first books really leave an impression on us forever. I have got to read The Woman in White, have had it for awhile. I reread it a couple of years ago and loved it again so I hope that it becomes one of your favorites as well! I strongly considered JS&MN for my list, too! The Thirteenth Tale was very reminiscent of Rebecca to me. I have yet to read any Wilkie Collins, though I can't wait. Also adding all the other sensational books it led you to to my tbr. I cannot believe I left out Jonathan Strange & Mr Norrell! That book redefined magic for me! Such a chunkster and I never once felt like there was too much of it. I was also pleasantly surprised by the BBC series. I do love any book where the magical system is so well-defined that you can't understand why it doesn't actually exist. That was Jonathan Strange for me! And I hope you love the sensation books. East Lynne and Armadale and wonderful and lesser known! What a delicious list of books you have here! 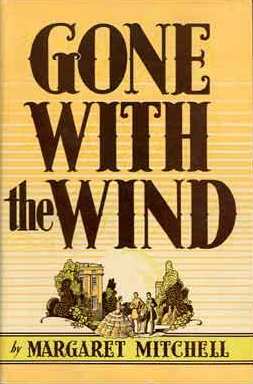 GWTW, The Thirteenth Tale, The Eyre Affair? We are of a mind, my friend. >>I think what I love about this genre is the outrageousness -- without the sordidness of the modern equivalents. YES. I so agree with this. It feels far enough removed from me that the madness is fun, rather than stressful. I love a good Victorian setting. No Flying in the House!!!! I LOVED that book and yes, spent a lot of time trying to kiss my elbow. I gave it to my daughters and have given it to nieces. It is just about a perfect story. I love Dickens! I've had Jonathan Strange on my shelf forever. I know I'm going to love it so I'm not sure why I've waited so long. Oh, you and I have to talk. Truly. 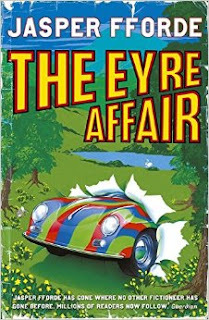 I loved The Eyre Affair and also other books in that series. And I also loved The Thirteenth Tale. Such an interesting book and I need to reread it for my Gothic challenge. Loved your list! Thank you, Kay! I have reread the entire Thursday Next series more than once. If I could have a dodo and meet Miss Havisham, I would be in heaven. :) And I've just picked up The Thirteenth Tale for a reread too. I owe it so much! Oooh, oooh! I have one for you. The Name of the Wind by Jonathan Rothfuss. Have you read it already? Or The Night Circus? I didn't know that Victorian sensation fiction was a thing. (It may not be my thing, though. I liked The Thirteenth Tale, but didn't love it.) 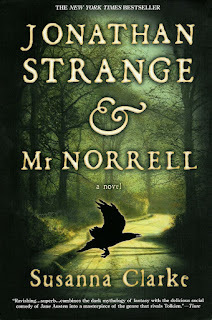 I loved The Eyre Affair and Jonathan Norrell and Mr. Strange and the audio edition of David Copperfield, which I had somehow never read at all before I was 50! 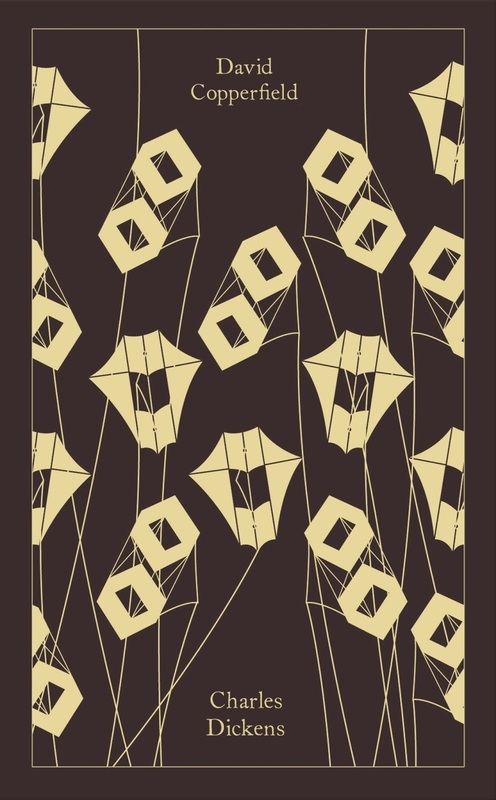 The Night Circus is an absolute favorite but I haven't read The Name of the Wind yet. It has definitely shown up on my radar more than once though so I really need to pick it up! Great recommendation! And doing an audio reread of David Copperfield actually sounds really good right now. Thanks for the idea! I resisted The Night Circus for a year or more, and now I own two copies of it! Love Jasper Fforde and the Thirteenth Tale! And Jonathan Strange is on my shelf...what a fantastic list! I didn't read GWTW until last year, and oh my goodness, I LOVED it! I can see how it would have sparked an early love of long novels for you. That one is worth the time it takes to get through all those pages. Oh no! Not Drood! LOL! I didn't read through all the comments, but did someone mention Sarah Waters? She writes in Victorian time and there's usually a mystery included (at least of the two I've read). Loved Eyre Affair! I really need to continue along in the series. PS--like the new look! Haha. No, not Drood, one of my most hated books of all time. I've read all of the Sarah Waters but that is totally the right type of book! And thank you about the look! I messed with it a bit this week to make it a bit brighter and I like it too! If you like Jonathan Strange and Mr. Norrell, maybe you'd like something like Jo Walton's Tooth and Claw, which is set in kind of the 18th century, only with dragons acting like people. That is a great suggestion. I have still only read My Real Children by Jo Walton so I need to move forward with her books! Thank you for the prompting! LOL - Hopefully I won't ever encounter another one like it and so I don't have to define that category (books that take historical characters and totally twist their personalities and habits to make them into total asses ... not that I obsessed about it ... argh!). Ah, nice list! 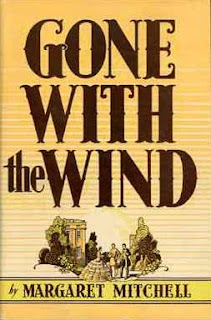 I really liked David Copperfield, and I loved Gone With the Wind (much to my surprise!). 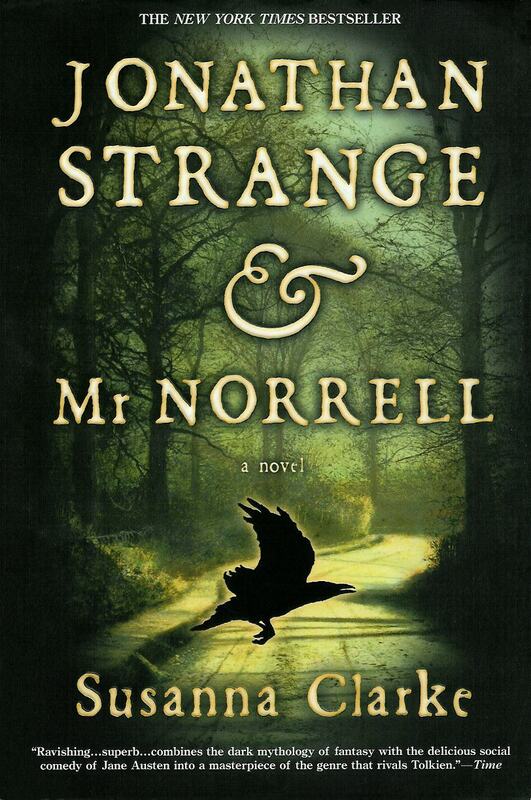 Strange & Norrell was also pretty cool - I liked the whole concept of the book as a type of historical study, with footnotes and (fictive) references and etc. Very interesting and unique. Yes. The sense that it was a real history of the time and the magic made it seem very real! I love Victorian sensation novels too. Great take on the prompt! I started listening to the audiobook of The Eyre Affair this week because I started thinking about the book after writing this post. Sadly, the narrator wasn't very good so I'll just have to read it myself again! I love your list here! Jonathan Strange is one I need to read. 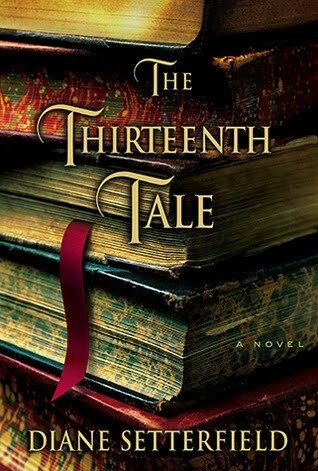 I haven't read Thirteenth Tale yet but I remember being intrigued by it when it first came out. I reread Jonathan Strange recently and loved it just as much as the first time. 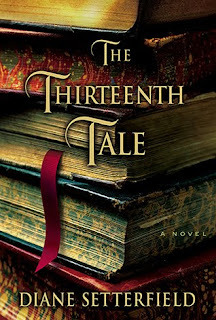 I also just finished rereading Thirteenth Tale and didn't enjoy it quite as much as I remember but it was what books it led me to that was the best part of it and that can't be changed!